Harper is a curious little girl. She is always watching and wanting to get in on Roo's fine motor play. But I worry about her choking on the smaller parts because she still puts everything in her mouth. I made a fun toy for Harper that gives her a chance to work on her fine motor skills while doing something she thinks is quite fun. I glued sequins as bases for the eyes and made funny eyebrows out of pipe cleaners. But I made sure that the lid would close when this wasn't in use! I added another sequin for a nose. And all we had to do was wait for the glue to dry. basically anything that can fit into the "mouth" of the monster but isn't a choking hazard. Waiting for the glue to dry was the hardest part. 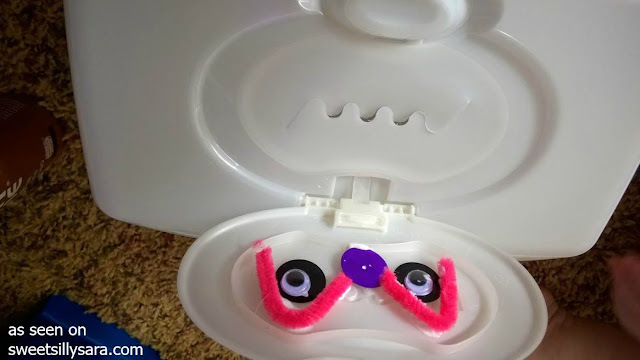 When the monster face is dry, you set the tub upright and feed the monster in his squiggly mouth. This was great for Harp to put the things in, as well as get them back out. She quickly decided it was easier to just open the tub and dump the goods out. 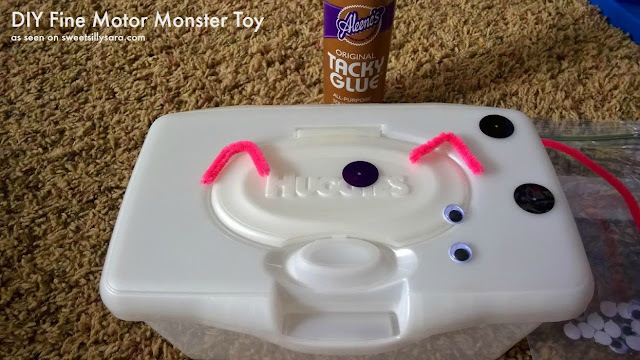 This DIY toy was great for several reasons. I spent $0 to make it. I used items we had on hand. 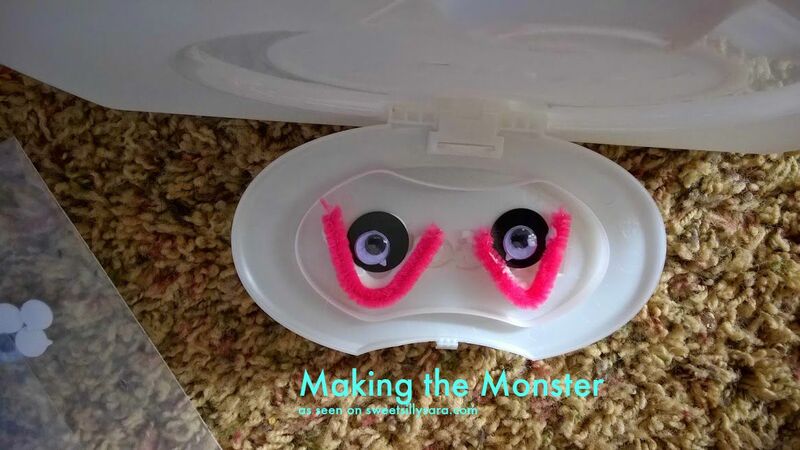 It gave my child a chance for fine motor play at her level and she loved it. There was no worry about missing parts, damaged stuff, etc. This project was basically made with scraps and things that might go in the trash otherwise.